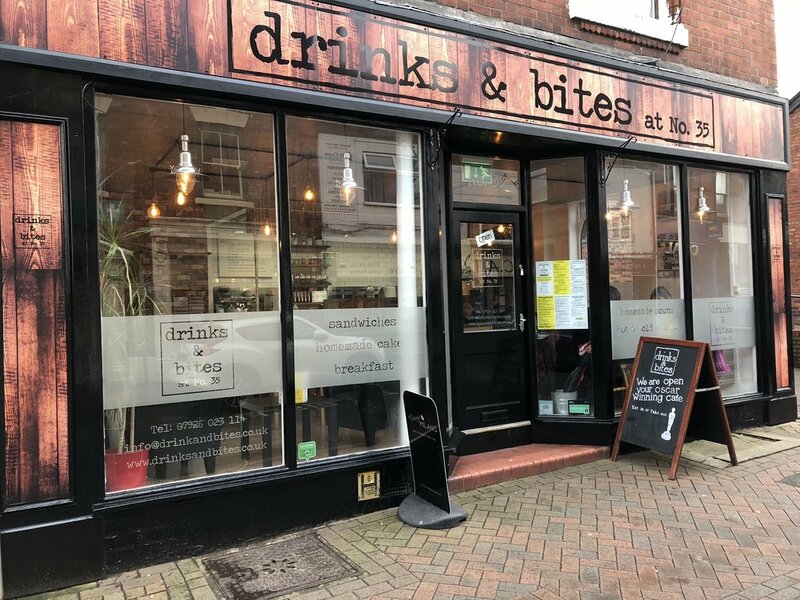 Located in the heart of Middlewich, drinks and bites at 35, is a popular cafe in an enviable central location on Wheelock Street. Well positioned for shoppers, those running errands, and visitors to the town. You will always receive a warm welcome, and first class service at our cafe. We pride ourselves on it! We are highly attentive to detail, and make all our dishes to order, ensuring freshness and your subsequent enjoyment. 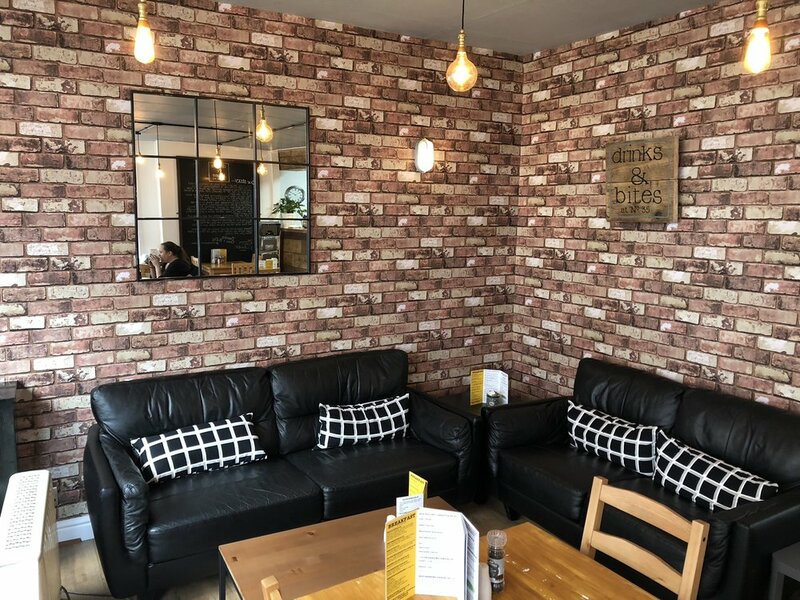 We provide a full eat in menu, serving freshly ground coffee, speciality hot drinks, breakfast, lunch and homemade cakes. Our full menu and drinks are available for take out too. Open six days a week, we offer a friendly welcome in comfortable surroundings.